Angela Corey Has A Thing For Marissa Alexander! Florida State’s Attorney Angela Corey has the hots, for lack of a better, G-rated term, for Marissa Alexander. That has to be it. There is no other explanation for why her office is going after this woman with guns blazing. Pun intended. Corey has clearly shown she gives less than a damn about black males. Take a look at how her office botched the trials of the two men who murdered Trayvon Martin and Jordan Davis. She can’t say her motivation is some sort of “Justice”. For some reason known only to that office, they are hell bent on putting a woman who injured no one in jail! They are hell bent on putting a battered woman who stood her ground against an abusive man in prison, for what would amount to a life sentence. Angela Corey’s office has announced that it will seek a sentence of 60 years in the re-trial of Marissa Alexander. Really? Really Angie? To hide her love jones for putting Marissa behind bars, Angie is laying the blame on the 1st District Court of Appeal, which indeed ruled in its reversal of the first trial that Marissa’s convictions could not run concurrently, and therefore if convicted on all three counts, would have to serve three consecutive sentences of 20 years. That means 60 years behind bars! Given the fact that other Appellate Courts have ruled otherwise, a conviction, and thus longer sentence, would surely head to Florida’s Supreme Court. 60 years for firing a warning shot. She didn’t shoot anyone, like George Zimmerman. Remember him? He stalked and gunned down Trayvon Martin. Corey’s office put on the worst prosecution I have ever seen. I could have done better simply from my time watching Law & Order!!! 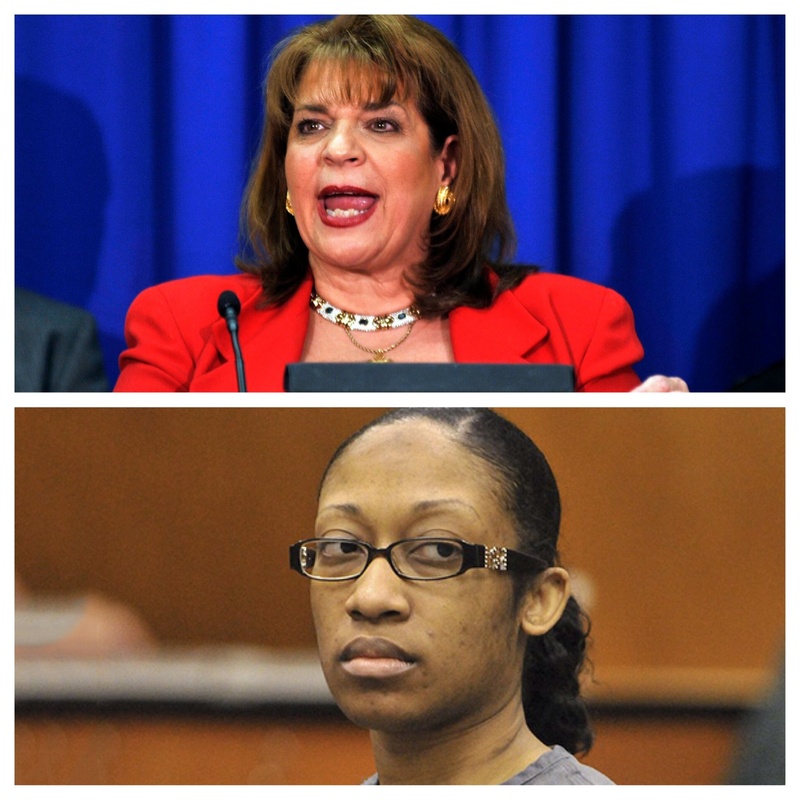 Angela Corey didn’t get a conviction either against Michael Dunn, who gunned down Jordan Davis. Dunn’s fiancée even testified against Dunn. Is Marissa Alexander being used to pad that office’s conviction rates? Is it because it seems to be much easier to convict an African-American in that area? If you recall, Corey’s office was trying to get Marissa Alexander’s bail revoked, which thankfully didn’t happen. How much harder can Corey’s office go after Marissa? It’s frightening to think of the lengths Angela Corey is going to go to in order to convict this woman. I have never been one to pull the race card, but I seriously would like to see Corey’s statistics when it comes to prosecuting Blacks versus non-blacks. How about it, Angie? Can we see what is REALLY motivating you?